PESHAWAR: Pakistan Tehreek-e-Insaf (PTI) Chairman Imran Khan on Tuesday urged masses to vote on basis of ideology and support PTI for ending corruption which is one of the main problems of the country. 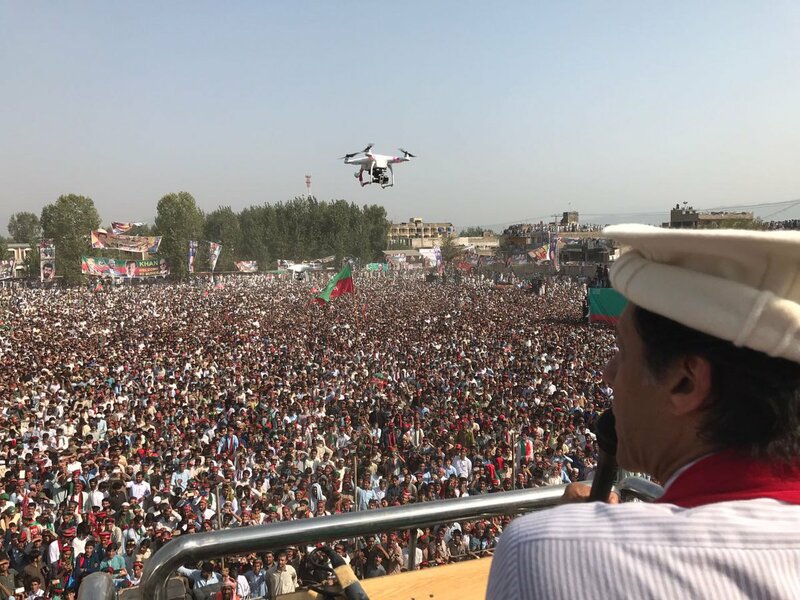 Addressing a public rally in connection with the election campaign in Khyber Pakhtunkhwa’s Buner district, Khan said massive corruption not only the made our country insolvent, but also made life of people miserable due to price hike caused by flight of looted money out of the country. He said without fighting corruption, we cannot develop the country and become prosperous, he said. He alleged that leadership of two political parties Pakistan People’s Party (PPP) and Pakistan Muslim League –Nawaz (PML-N) are taking turns for loot and plunder of country’s resources. We have to fight against this status quo, Imran vowed. He said the leaders of these parties has become billionaires while people are getting poorer and poorer after passage of each day. On one side people are constructing huge buildings abroad while on the other side people are dying due to hunger, intake of contaminated water and lack of proper health care facilities, he said. He said when a country becomes dependent on foreign loans, it has to face directions of “do more” and is compelled to fulfill it. However, when a country is standing on its own feet, no one can ask it for doing something, he made a comparison. Because of poor financial status of our country, the nation is also facing problem internationally, he said, adding that persons holding green passport are not getting proper treatment at international airports, he continued. We have to revive the lost glory of our country when it was standing among the comity of developed countries of Asia, Khan expressed the resolve. He also criticized Jamat-e-Islami (JI) leadership for striking electoral alliance with PML-N. Imran said JI chief Siraj-ul-Haq had jointly filed case against Nawaz Sharif over finding of Panama leaks and now has joined hands with his party for winning elections. He said Fazlur Rehman example is of a magnet who joins each and every government. Khan also stressed upon the independent candidates to withdraw their papers in favor of PTI candidates. He said 25th July is the day on which people can change direction of governance system of their country by electing candidates of a party which want development and prosperity through ending corruption and bringing to justice plunderers of national resources.